What first struck me about Sigil Scent was its unique name. Sigil. As gleaned from the website, its name is derived from the Latin word sigillum or seal, “a unique sign infused with personal meaning”. For Patrick Kelly, the creator of Sigil Scent, it signifies the ritual of applying fragrance in order to help set and guide your intention for the day. Acorelle Perfumes. Organic and French, mais oui! Acorelle is a French company that creates Ecocert certified perfumes whose ingredients are 100% natural and at least 90% of the total ingredients are from organic farming. Philippe Collet, the brand’s exclusive perfumer is a nose at a Grasse perfumery and Patty Canac is an expert in smells and studies how essential oils can affect people’s moods. Together they have created a wide range of fragrances to suit many different moods and tastes. Please see my YouTube channel for the full, detailed review as Acorelle is very much worth your time and reasonably priced ($15 for 10ml roll-on and $55 for 50ml bottle). Also, read on for perfume notes and photos! Full disclosure here. My younger son is a Virgo, so I approached Strange Invisible Perfume’s latest fragrance which was inspired by said astrological sign, with a bias for wanting to love it. Knowing that neroli, sandalwood, and mandarin are in the Virgo blend also tipped my inclination I’ll admit, but bias or no bias, this is a gorgeous perfume. I find neroli to be an utterly enchanting essence that moves beautifully through the seasons. It’s floral, kind of spicy and woody, and in the colder months it takes on a cozy aspect. In Virgo, neroli is all of the above and then some. Its woodsiness is enhanced by the well known sandalwood, and at least to me, the lesser known Palo Santo. Although now, I am this close to ordering Palo Santo essential oil after learning more about it. Palo Santo, or sacred wood, is native to South America and is protected by strict government protection. The oil can only be harvested from fallen twigs and branches that have matured on the jungle floor for two years, allowing enough time for the resin to move into the hardwood. The Incas used this precious wood for purification and cleansing and since it is closely related to frankincense, I can imagine it has a similarly intoxicating incense aroma when burned. Virgo, the sign and the fragrance, are about introspection, precision and comfort. Sandalwood and Palo Santo usher forth the introspection and comfort, while the neroli and mandarin embody those qualities as well but with a crisp and radiant expressiveness. Neroli infuses this fragrance with a floral gesture and a hint of sparkle- aided by a gentle dose of jasmine sambac- throughout Virgo’s duration. But it’s in the drydown that Virgo’s soothing quality becomes increasingly apparent. Ultimately, it evolves into a cushion of benzoin and vanilla balsams that are as warm as an embrace from my Virgo son. Virgo is available as eaux de parfum in 1.7 fl. oz. custom engraved bottles hand-painted with sterling silver for $275. It is exclusively sold at the SIP Boutique, but mail orders are welcome. Please call 310.314.1505 for inquiries. Disclosure: A sample was sent to me for consideration by SIP. Opinions in this review are my own. I was not financially compensated for this review or any other. It might seem strange to combine a hair product review with a fragrance review, but in the world of Intelligent Nutrients, it makes perfect sense. All of their products are made to be used all over the body, even in the hair. Multi-use is encouraged throughout their website and I have taken them up on their recommendation as I use their Jasminas fragrance in my hair, and their Finishing Gloss on my skin. Jasminas is a big name to live up to in my opinion. Of course a fragrance with such a name should be jasmine based and therefore somewhat bold, but I want it easy to wear. So kudos for Jasminas. Not only did it meet my expectations, but exceeded them as well. Jasminas is a terrifically audacious scent, bursting with juicy jasmine sambac in a macadamia seed oil base. It luxuriously smooths onto the skin and exudes the signature spicy, citrusy floral redolence of this tiny blossom which is also known as pikake if you are in Hawaii. Like a fresh lei of jasmine sambac around your neck, Jasminas swirls around your body as you move, delivering you to a warmer and more relaxing climate. Add a few drops in your hand along with a pump of Intelligent Nutrients Finishing Gloss, and Jasmina’s scent will linger throughout the day in your softly smoothed hair. The Finishing Gloss includes a blend of jojoba oil, sesame oil, shea butter and beeswax which is a potent mix, so only a pea-sized pump or two is needed to tame my long curly-wavy-frizz prone hair. I use one pump if my hair is already dry and I want a polished pony-tail, and two pumps distributed evenly throughout my wet hair for supple waves. The scent is a mild sesame/neroli combo and I let any leftover product absorb into my hands, as the hydrating ingredients work just as well on the skin as it does the hair. I’m loving this feel-good, smell-good multi-tasking! Intelligent Nutrients was founded by Horst M. Rechelbacher, the creator of Aveda which he sold to Estee Lauder in 1997. 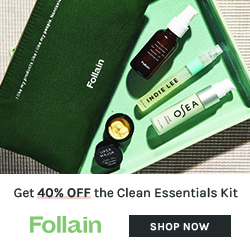 He continued consulting for Aveda until 2003 when he focused on creating Intelligent Nutrients, a company dedicated to using 100% food-based and organic certified ingredients. Intelligent Nutrients Finishing Gloss is $29 for 1.7 oz, Jasminas is $45 for 11mls. Available at SpritBeautyLounge. Disclosure: Samples were sent to me for consideration by SpiritBeautyLounge. The opinions in this review are my own. I was not financially compensated for this review or any other. Roxana Villa, of Roxana Illuminated Perfume, is the creator behind one of my favorite lavender perfumes, Vera. I reviewed the liquid formulation of Vera this past fall, and am elated that Roxana is now offering it as a solid in addition to the liquid perfume. 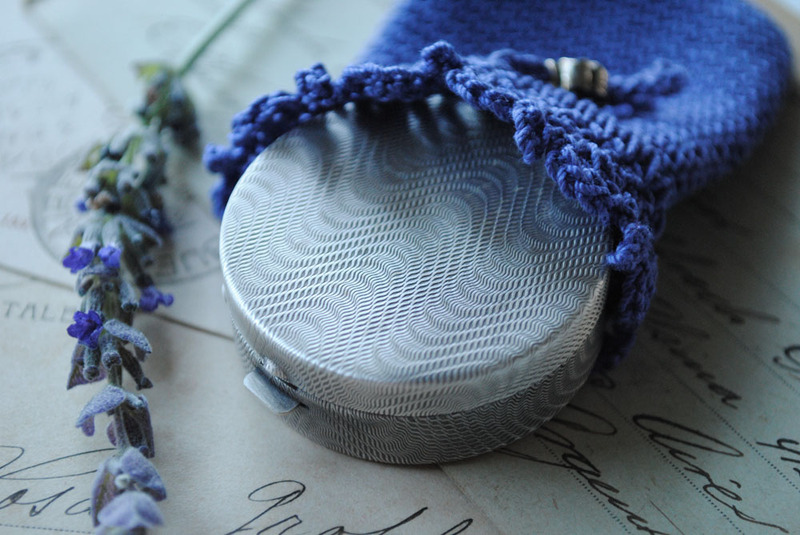 Organic lavender from Ojai is used in the formulations and lavender lovers in the Southern California area should consider attending the Ojai Lavender Festival on June 26th. 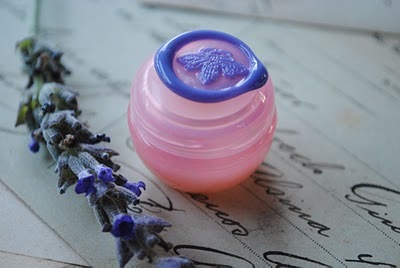 Both the liquid and solid Veras are comforting and unique renditions of lavender, but they do possess subtle differences. Alongside lavender, there are woods, resins, sage, oakmoss and orange blossom that coalesce elegantly in both formulas. 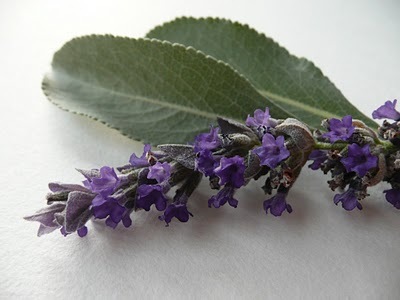 In the topnotes, sage predominates the liquid while resins are much more enhanced in the solid. Resins of styrax (benzoin), Peru Balsam and cistus yield a supple aroma whose delicate sweetness hovers over the rich depth of a sunbaked thicket. The middle notes of the solid continue to explore the resinous nature of Vera, as cistus (the essential oil of the rockrose shrub) becomes heightened in its rich radiance. In contrast, the heart of the liquid finds itself amidst the floral company of orange blossoms which temper the intensely herbaceousness of lavender. This herbal quality quiets even further in the liquid’s drydown which assumes a more powdery form. The solid on the otherhand, veers away from the powder path and into the deeper terrain of woods like cedar, vintage Mysore sandalwood and the aforementioned resins. Vera in both of its forms are beauties, but I prefer the solid as the union of sweet, intriguing resins with aromatic florals reels me in effortlessly. Impressive longevity is bestowed upon both, but the solid wears closer to the skin. 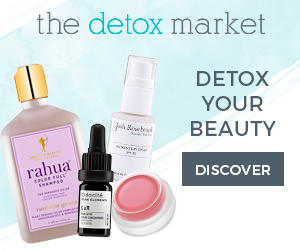 As always, Roxana’s perfumes are 100% natural, made with only the finest organic and/or wildcrafted botanicals. As a special treat for Scent Hive readers, Roxana is giving away a trio sampler set of Vera, Rosa and Chaparral. As always, you are eligible for extra entries, one each, by following Roxana on Twitter and/or her Blog. 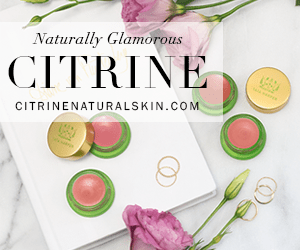 Extra entries as well if you follow Scent Hive on Bloglovin, Twitter, Google Friend Connect, Facebook’s Networked Blogs, or subscribe to Scent Hive. Please let me know in your comment what you did so you get the entries you deserve! Drawing will close Sunday June 13th at 9pm PST. We have our winner! Vera is available at Roxana’s etsy site. $7.50 for a solid perfume mini is $7.50, $25 for a 5gm pot, $65 for a compact, or $150 for a 7gm flacon of the liquid perfume. Disclosure: Samples from Roxana Illuminated Perfume were provided for this review. The opinions in this review are my own. I was not financially compensated for this review or any other. Congratulations Amanda, and thanks to everyone for your comments and entries! I just discovered Victoria Jess Handmade Natural Perfumes a few weeks ago after a reader recommended I try Victoria Mirarchi’s creations. Many thanks to Angie for taking the time to write me about this line, as Victoria’s fragrances are exceptional. They are all handmade with only natural ingredients, many of which are organic. Yes, there are many perfumers using said ingredients, but Victoria definitely has the talent to create beautiful perfumes. My experience of the Victoria Jess line is that each perfume is an ode to jasmine. Jasmine in four very different renditions, but jasmine nevertheless. As a strong admirer of this sultry little blossom, that’s more than fine with me! Today, I will feature Un Fleur de Jasmine. This Victoria Jess perfume is a stunner. It’s bright and cheery in the opening. Top notes of organic Italian bergamot and organic pink grapefruit give it a citrus kick, but its floral heart presents itself rather quickly. Organic jasmine grandiflorum as well as organic jasmine sambac develop in a very full and sensual manner, especially the sambac. Its spicy tinge gives Un Fleur de Jasmin a flavor that exudes the voluminous jasmine quality we love, but also a departure point which adds piquant interest. Rosewood find itself in the heart as well, which tempers jasmine’s propensity towards extravagance but also plays well with Un Fleur de Jasmin’s very tasteful indolic side. I thoroughly enjoy every aspect of Un Fleur de Jasmine, but it’s the drydown of this fragrance that really has me captivated. Ultimately it has an ambery base with labdanum, ambrette, and vanilla melding into a gorgeous sweet, musky floral. I am so thrilled that natural perfumers have ambrette in their palette as this little seed provides such a rich base that I find far more satisfying that any synthetic musk I have ever smelled. While Un Fleur de Jasmine is very different from Ayala Moriel Parfums’ Cabaret, ambrette gives both of them the ability to be simultaneously sweet, mildly earthy and entirely musky. Kudos to Victoria for creating such a beautiful and beguiling musky floral. Un Fleur de Jasmin is available at the Victoria Jess etsy store, $40 for a 2ml atomizer, $65 for a 5ml atomizer, or $85 for a 15ml atomizer. Disclosure: A sample of Un Fleur de Jasmin was provided by Victoria Jess. The opinons in this review are my own. I was not financially compensated for this review or any other. Lily of the valley is such a precious flower. The way the tiny blossoms hang precariously from their slim stems makes my heart ache just a little. And their glorious scent is beyond captivating, I adore it. 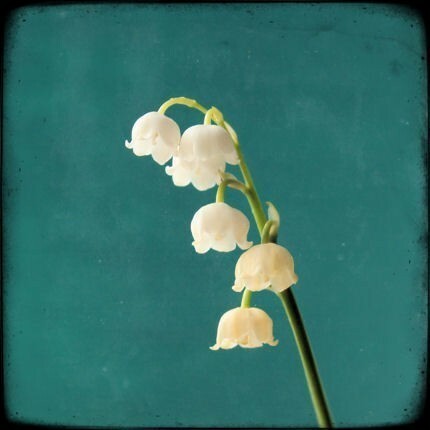 A neighbor has lily of the valley in her garden, and I point them out every spring to my boys, hoping they remember to bring a muguet-nosegay to their “someone special” when they grow up. I wish we celebrated May Day with the floral gusto of the French. I read more about the history of this holiday and the French traditions around it at the blog Everything French Gardening. Give it a read if you are interested. I found it fascinating, and it inspired me to bust out the one muguet inspired, all natural perfume I have, Strange Invisible Perfumes Urban Lily. I don’t know if I am easily swayed or if I happened to have the same experience as my fellow bloggers, but I agree with it all! Tom is so right about the fresh cut grass and similar base of Musc Botanique. There’s a vegetal muskiness to Urban Lily that cannot be denied, and while it’s different from Gap Grass, the two perfumes have a common tone. March’s description resonates with me a great deal, as I too find a honeyed-haylike quality in Urban Lily. And yes, a leathery narcissus as well! Thank you March, for nailing that one. 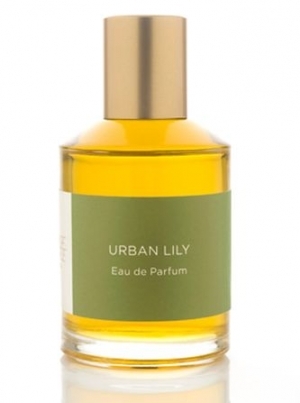 My experience of Urban Lily also includes vetiver, a damp soil-laden vetiver, which unfolds on my skin. The dark richness of vetiver mingles enticingly with the muguet/narcissus springtime blossoms as well as the bright green musk. All of this might sound like a hot mess to some, and it might have been for me if the vetiver didn’t ground Urban Lily so completely. I am in San Francisco this weekend, wearing Urban Lily on this beautiful day. I’m going to enjoy its scent while I do yoga with my sister and then we’re off to her baby shower at her favorite tea house. I’m hoping to find some lily of the valley along the way. 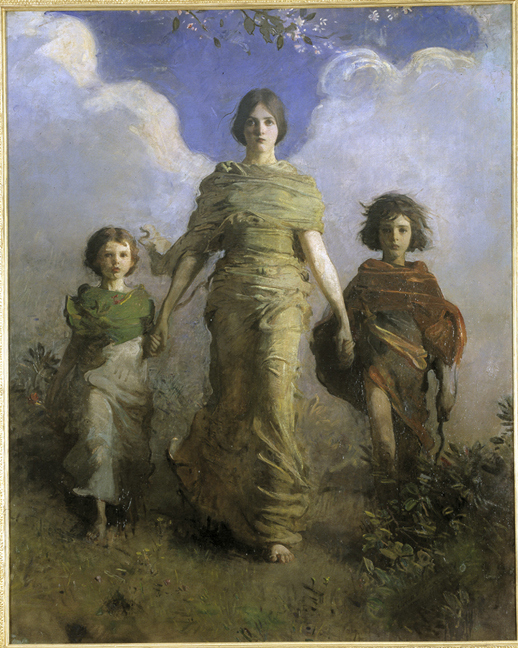 Happy May Day to you all. I sincerely hope you get to delight in lily of the valley’s beauty today. Lilies of the Valley by dsbrennan at etsy. Disclosure: The sample of Urban Lily is from my own collection. The opinons in this review are my own. I was not financially compensated for this review or any other.